Early childhood education is one of the most important things that we can provide to our children. Early education will help them to find success in school and throughout their lives. One program that has helped children from lower-class families gain access to quality education is Head Start. Unfortunately, despite the success of Head Start Programs, federal budgets cause many to vote to reduce funding to this program. As a result, Head Start administrators look for new ways to cut costs without negatively impacting their community. Why are Head Starts important to the future of our country? Most importantly, participation in these programs helps to prepare children from all backgrounds with a strong foundation for educational success. In addition, Head Start helps participating children and their families to grow in other ways, such as through health care, dental care and nutrition. Last but certainly not least, part of the Head Start Program involves giving children access to nutritious foods that are served at breakfast, lunch and snack time. The meals being served are fostering a love and interest in vegetables, fruits and other healthy choices. As a result, food costs can quickly eat up a large portion of the Head Start Program budget if purchasing is not properly monitored and managed. With the strict federal budget guidelines set in place by Washing D.C. lawmakers, Head Start directors have their work cut out for them. They need to be thinking like a CEO who has a business to run. Everyday purchases are important to the long term financial health of the Head Start. Each decision on where and what to buy, needs to consider the total cost of ownership and not just the retail price of the item. Through the use of food and supply group purchasing programs like FoodSource Plus, Head Starts can save money. FoodSource Plus connects Head Start Program administrators with bulk food suppliers. 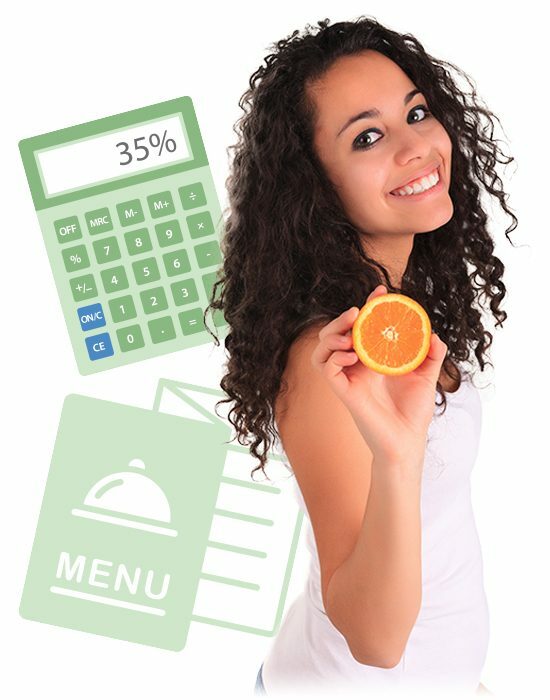 The advantage of going through a third party is 10-35% lower pricing on the food supplier items vs what a Head Start would be eligible for if they signed up on their own. If all Head Start programs were saving money through FoodSource Plus or other GPO’s, funding cuts would be less detrimental. It all starts with a free cost analysis. Our team will visit your facility and take a look at your current Head Start Program menus, purchasing history, supply stock and other factors to determine new ways that you can reduce Head Start budgets in this area. FoodSource Plus has a registered dietitian on staff that will review the menus according the any guidelines or requirements that you need to use, such as CACFP, NSLP or SBP. All of these services are completely FREE to any non-profit human services program, such as the early childhood education services available through Head Start. We connect our clients with bulk food suppliers, giving even the smallest community center the purchasing power of a large corporation, complete with all the discounts and opportunities you might ever hope to use. Our team can even connect you with suppliers in addition to food service suppliers through our sister program, providing you with new ways to reduce Head Start budgets via discounts on office, cleaning and other janitorial supplies. All in all, the program administrators who choose to work with FoodSource Plus save approximately 10-35 percent annual based on previous spending habits. The goal of the Head Start Program is to provide preschool opportunities for all children on an equal and level playing field. President Obama has proposed a series of new investments in the Head Start Program that will provide educational and nutritional opportunities for children aged five and under. The goal is to invest in this important resource to increase the ability of low to moderate income families to succeed when they get to kindergarten. Until that funding comes in, many administrators will have to continue to reduce Head Start budgets through use of food service supplies and bulk food suppliers. Once the funding becomes available, administrators who continue to use these budget reducing strategies and our free cost analysis to make sure they are staying on track with spending, can use the new funds to expand the program to include more local children and offer more programs. Contact FoodSource Plus today to get set up on their discounted pricing program! Just give us a call toll-free at 1-866-248-4520. Our agents can answer any questions you have regarding the bulk food suppliers we work with. Request a free cost analysis analysis today! The quicker you become a FoodSource Plus member, the quicker you can save money and help more children in need.